BASEBALL: Bonus Games in Reading? 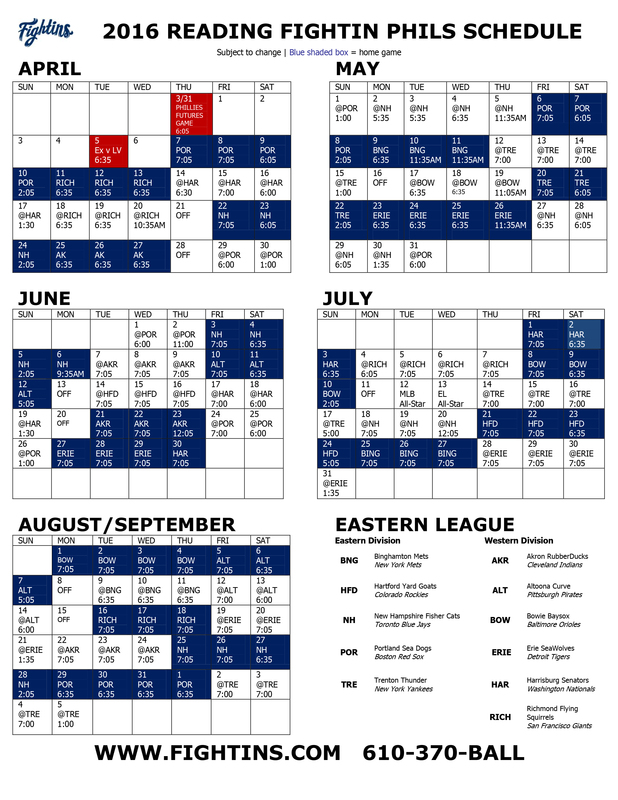 Home › Kram's Korner - From the Club Level › BASEBALL: Bonus Games in Reading? The new AA affiliate of the Colorado Rockies is the Hartford Yard Goats. The former New Britain Rock Cats are moving to a brand new facility, Dunkin Donuts Park, in downtown Hartford. By way of history, the Rock Cats were formerly the affiliate of the Minnesota Twins. Here’s the thing: The stadium might not be ready in time for the start of the season. Once I heard such, I quickly checked the schedule and noticed the Reading Fightins ‘@HAR’ immediately after the Reading opening home stand, April 14. Sweet–extra games, I thought! Not so fast. Turns out “HAR” is Harrisburg. Hartford is “HFD.” Reading doesn’t visit Hartford until June 14–and by that time the stadium should certainly be completed. At least I would think. You never know, so mark your calendar if you wish! ‹ [POLL] Horn or Whistle? Which do you prefer?